Explore our floorcare range – from vacuum cleaners that pick up deeply-ingrained dirt and trapped dust to steam cleaners that leave your home looking good as new. Find the products you need to help you keep your home feeling clean, tidy and fresh. Enjoy the freedom of a cordless vacuum – you won’t be restricted to a plug socket, letting you move around your house. Simply charge the unit and clean those awkward nooks and crannies, or take it outside to freshen up your car. 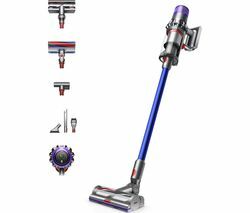 Our bagless and cordless models include top brands like Vax, Shark, Bosch, and Hoover. Vacuum with an old favourite, the Henry Hoover - available in a range of colours and sizes. We also have models with attachments for delicate areas like curtains and fabrics. 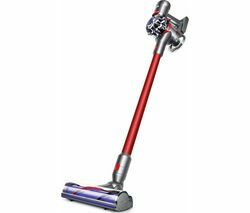 Dyson vacuum cleaners are ideal for carpets and hard floors alike, using powerful cyclonic technology for consistent suction no matter how full the chamber is. There are options for pet owners, helping you to get rid of stubborn hairs and debris. And for allergy sufferers, vacuums with HEPA filters help to remove allergens and irritants. Refresh your carpet and leave it looking as good as new with a versatile carpet cleaner, or clean outside and remove bacteria without chemicals using a Karcher steam cleaner. Consider an intelligent robot cleaner which glides effortlessly around your home - control it remotely with your smartphone. Whatever you need, we have a range of powerful, full-featured vacuum cleaners to choose from.